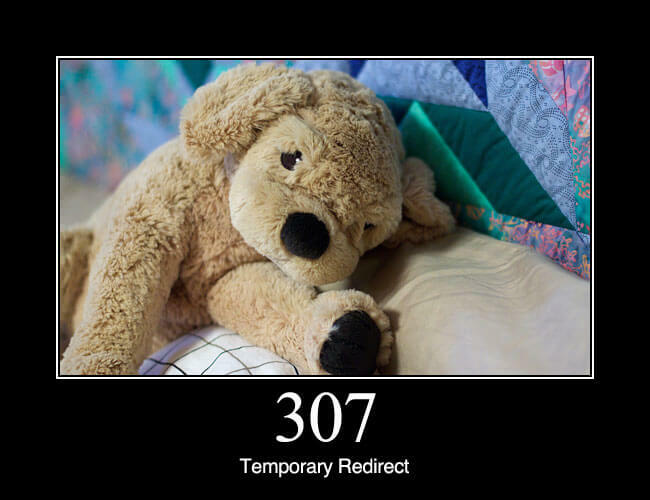 307 Temporary Redirect: In this case, the request should be repeated with another URI; however, future requests should still use the original URI. In contrast to how 302 was historically implemented, the request method is not allowed to be changed when reissuing the original request. For instance, a POST request repeated using another POST request.